Sorrento is a charming town overlooking the sea near the Amalfi Coast. 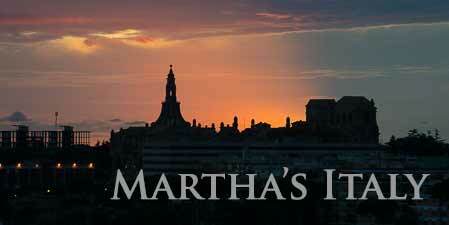 Its historic center is a good place to wander, shop, or join the lively evening stroll. Because it’s well connected to public transportation and has a large number of hotels and restaurants, Sorrento makes a good base to visit nearby sites including the island of Capri, Amalfi Coast villages, and the archaeological site of Pompeii. Hotel Mignon Meuble is near the cathedral & a 5 minute walk from the beach. Hotel del Corso is between Piazza Tasso and the port. Grand Hotel Vittoria is a luxurious choice on the main square. 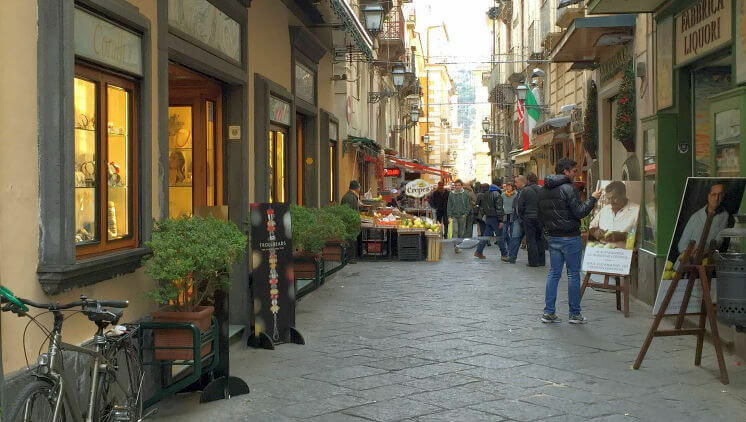 Wander through Sorrento’s historic center along its narrow streets lined with shops, take a stroll during the evening passagiata, admire old buildings dating from the 14th – 16th centuries, see the Cathedral, and visit the cloister of the Church of San Francesco. 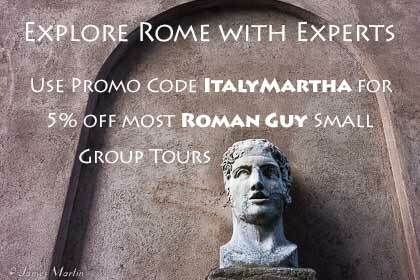 Walk in the public gardens atop the cliffs for great views of the sea and Mount Vesuvius. Public lifts from the gardens or other parts of town take you to the sea where you can swim. Although there are no real beaches, you’ll find stabilimenti renting beach chairs on the piers if you want to relax by the sea. Visit the Museo Bottega della Tarsialignea, museum of woodcarving, or the Correale Museum with paintings, ceramics, and archaeological artifacts, housed in a villa by the citrus groves on Via Correale. Several walking paths lead into the countryside. You can see the ruins of the Roman Villa di Pollio or walk to the small fishing village of Massa Lubrenese. 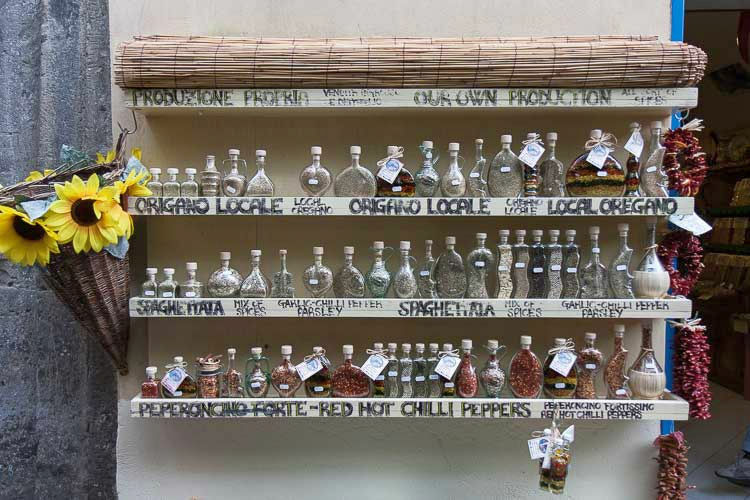 For a good introduction to Sorrento and its foods, take a 3-hour Sorrento Small-group Food Walking Tour with stops for 8 tastings. Or for something different, try Mozzarella Cheese Making Tour. 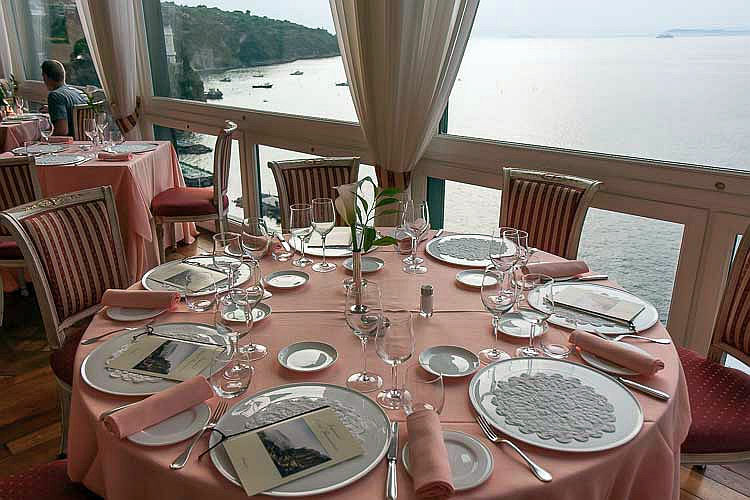 Enjoy a romantic sea view from the restaurant of the Imperial Hotel Tramontano, a 4-star hotel with swimming pool in the historic center on Via Vittorio Veneto. 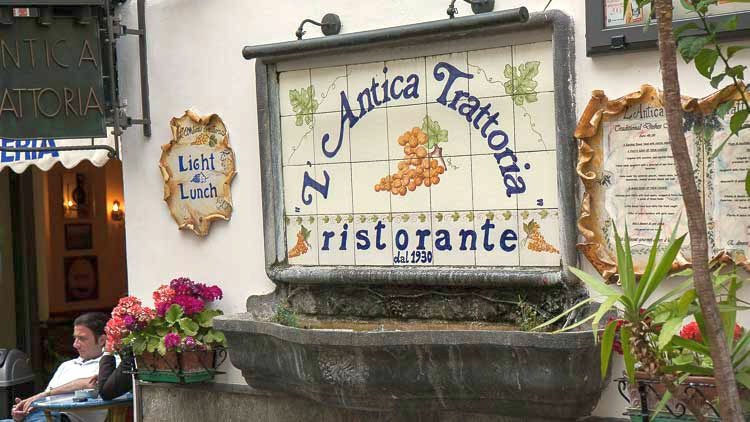 Another great place for dinner is L’Antica Trattoria, with outdoor seating under a vine covered pergola and 5 different rooms inside decorated with art works. Sample the limoncello at I Giardini di Cataldo in the lemon and orange grove. There’s not just lemon, but a variety of flavors, my favorites being Liquore di Liquirizia, an intense, black licorice liquor, and Mandarin orange. Then stop in at the Giardini di Cataldo Gelateria and refresh your palate with a scoop of limone. Visit the enchanting island of Capri by ferry (about half an hour ride) or take the Capri Small Group Boat Experience that includes a boat trip around the island to see rock formations and grottoes, a stop to swim, and free time on the island to explore independently. Take a bus to visit the famous Amalfi Coast towns like Positano and Amalfi. You can also drive but the roads are small, crowded, and windy. For the best experience, leave the driving to someone else on an Amalfi Coast Experience small-group tour from Sorrento. Visit the famous archaeological site of Pompeii by taking the Circumvesuviana train or on a half-day Pompeii sight-seeing trip from Sorrento. To visit Mount Vesuvius take the train to the Pompeii-Villa dei Misteri stop where you can catch the Busvia del Vesuvio bus or take a Mount Vesuvius half-day tour from Sorrento with transportation. Sorrento is on the inexpensive Circumvesuviana private rail line from Naples. At Naples Central Station, go downstairs to the Garibaldi station and buy your tickets there. There are usually 2 trains per hour from early morning until a little after 10PM but there may be fewer trains on Sundays and holidays (check the timetable on the site). From mid-March through late October, the faster Campania Express train has 8 trains a day from the same station. 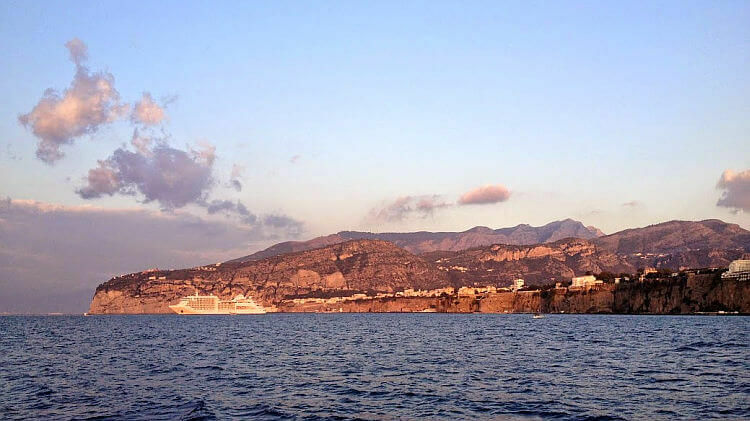 From April through October, Sorrento can be reached by hydrofoil from Naples. Buses run between Sorrento and the Amalfi Coast towns and from Naples airport there are 3 direct buses a day to Sorrento. Sorrento and the Amalfi Coast are in the Campania region of southern Italy. Find the best times to visit in Sorrento Weather and Climate.